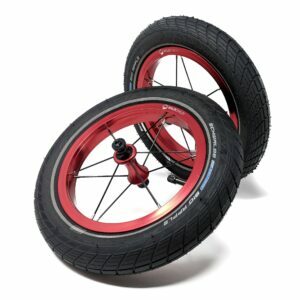 Growing tired of the entry-level composite plastic wheels with EVA tires that came with your Strider balance bike? 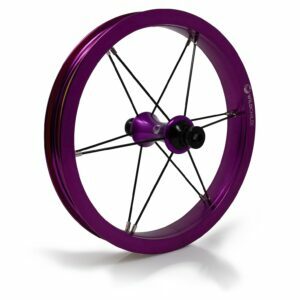 Look no further; a quality alloy wheel set that will make your Strider perform at the highest level. What a great way to personalize your Strider balance bike. 7 cool colors to make your balance bike unique.